Enter native. - The student app creating the best years of your life. 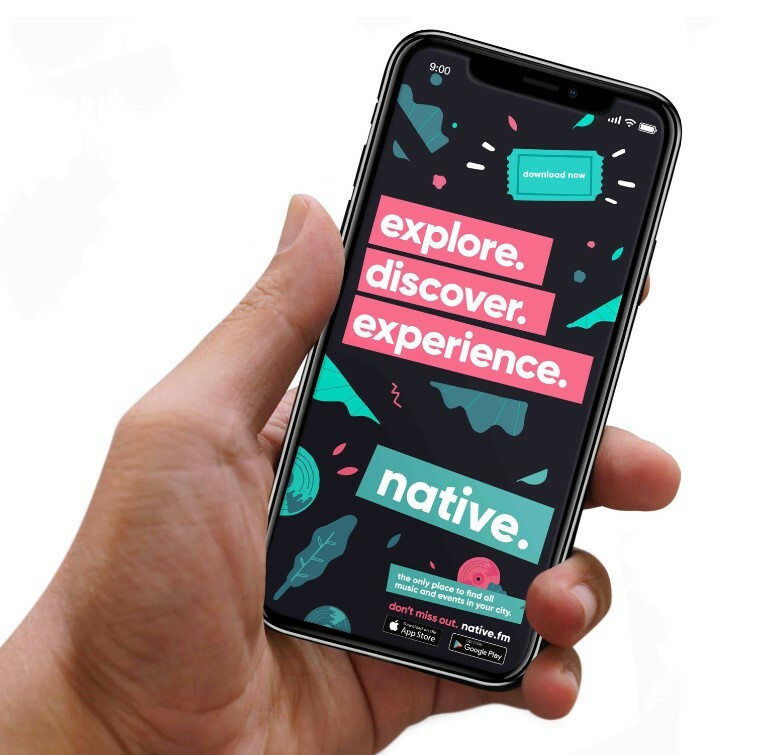 Currently launched in Birmingham, Bournemouth, Brighton, Bristol, Cardiff, Leeds, Manchester, and Sheffield, native is the ultimate social companion built by an experienced team of graduates to eliminate forgettable night outs, from the university experience. As most will know, organising a night out at uni is basically the group-chat equivalent of herding cats. Frustrating, never-ending, and almost always a thankless task. native’s unique social tools make inviting friends and organising nights out a seamless experience - or at least as seamless an experience as shepherding 20 drunk students can be. Here are some key highlights to what the app has to offer. 1. Easy Discovery - Exclusive and affiliate events, easily navigable with powerful search & filtering. 2. Bespoke Ticketing - Easy, one-click transactions and paperless ticketing in app. QR scan system. 3. Social Invites - Unique tools to invite friends and organise nights out. 4. Exclusive Events/Content - Exclusive content produced by partners, influencers and users. 5. Daily Competitions - 12pm daily, prizes are given away to promote events and brands. 10 x free tickets on your B-day to an event of your choice with £100 worth of free drinks. All you need to do to enter is download native. from the link below and answer the simple question. Name one of the major cities that native is active in?